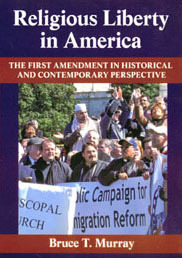 Bruce T. Murray has written two books on the First Amendment: Religious Liberty in America: The First Amendment in Historical and Contemporary Perspective, published by University of Massachusetts Press in 2008; and Religious Liberty in America: Navigating the First Amendment in the Newsroom and Beyond, published by the Foundation for American Communications in 2005. A series of concise definitions of the First Amendment's religious liberty clauses. An archive of newsletters Murray has written about the First Amendment since 2008. 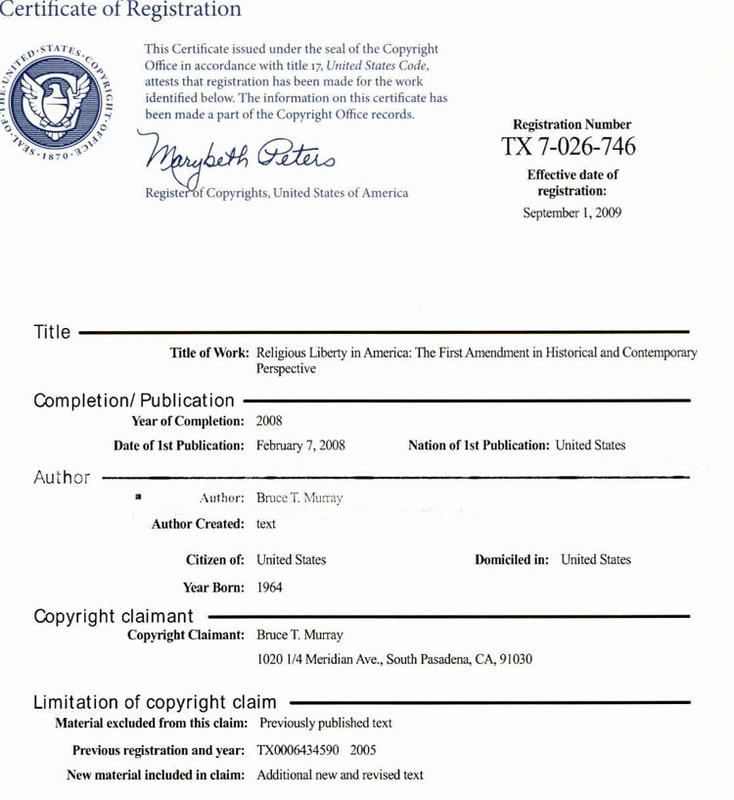 An archive of articles Murray has written about the First Amendment. Articles on religion & politics and other companion themes to the First Amendment. Bruce Murray comments on issues related to the First Amendment and religious liberty. An annotated digest of news items related to the First Amendment. Also see news archive from 2008-2012. The University of Massachusetts Press catalog entry for Religious Liberty in America. Religious Liberty in America has also received its share of criticism. See book reviews focusing on the legal issues covered in Religious Liberty in America. Religious Liberty in America has been cited in several scholarly publications and law review articles. Religious Liberty in America is in use in several university courses. Religious Liberty in America has been cited in numerous news publications.